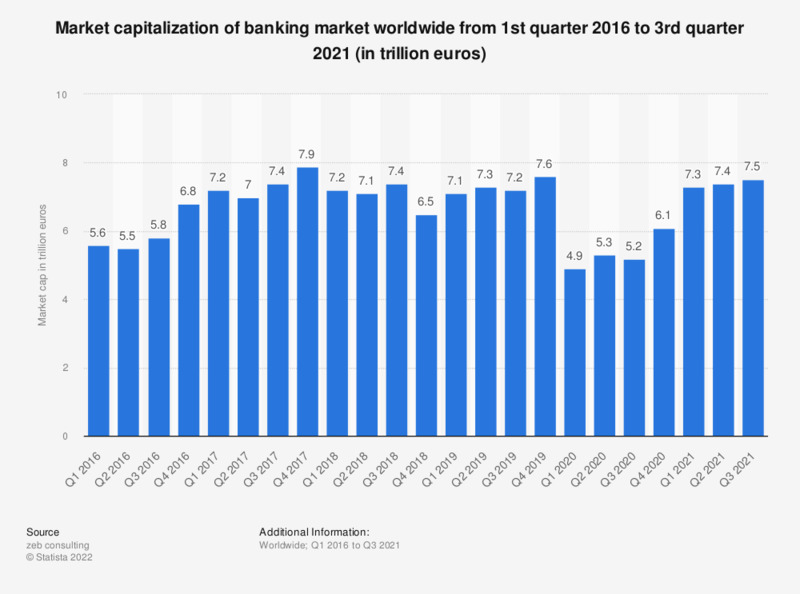 This statistic presents the market capitalization of banking market worldwide from the first quarter of 2016 to the fourth quarter of 2019. The market cap of global banking industry amounted to 6.1 trillion Euros in the fourth quarter of 2018. The source adds the following information: "All banks worldwide according to Bloomberg classification. Figures are aggregated in EUR, without adjustments for foreign currency effects."